Ready, Set, Sketch: Petaluma Sheraton! 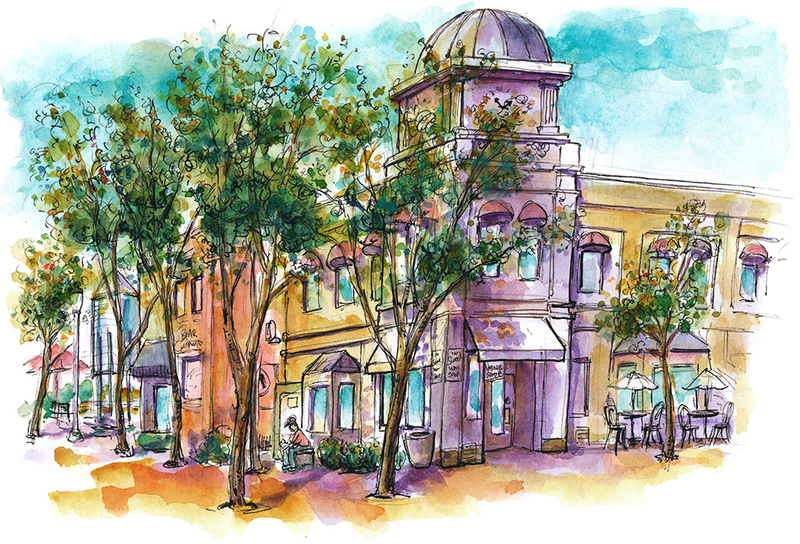 Ready, Set, Sketch: Santa Rosa Plaza Mall! 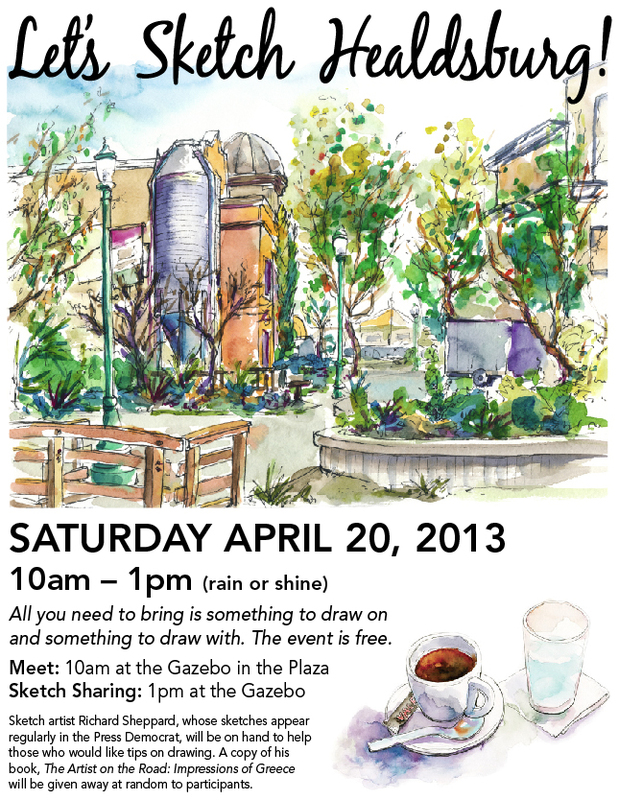 About a dozen of us Ready, Set, Sketchers gathered in Healdsburg’s square yesterday to sketch the beautiful plaza. The weather was a perfect 80° with only a slight breeze. An Earth Day celebration filled the grassy area, providing music, atmosphere, and additional drawing opportunities. I chose to sketch the plaza’s iconic clock tower on the northwest corner of the plaza. Later in the afternoon, we rejoined at Healdsburg’s Center for the Arts to share our sketches, techniques, and the day’s experiences. Thanks to all who attended!